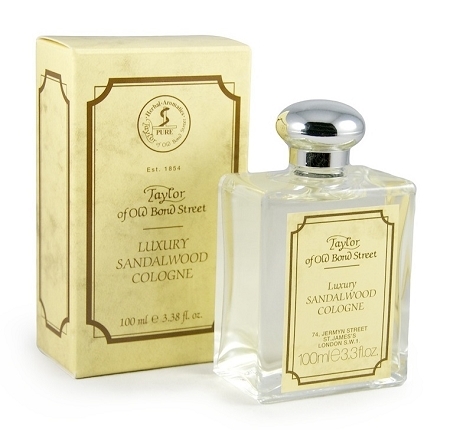 Taylor of Old Bond Street Sandalwood Cologne is the London-based manufacturer’s unique interpretation of that classic scent. It heaps amber, lavender, and other floral notes over a mixture of citrus and fern, which in turn, rests upon a richer, heavier base. Said base is a strong mixture of musk, sandalwood, and other natural extracts. Overall, this fragrance is strong and distinctive, but not enough to be considered overwhelming. As its name indicates, Taylor of Old Bond Street first opened its doors at its premise on Bond Street in the heart of London. Its founder, Jeremiah Taylor, soon built an enviable reputation for the excellence of his products made using natural extracts. Over time, successive generations expanded Jeremiah’s selection of grooming products for men to encompass accessories, fragrances, shampoos, shaving supplies, and even skincare products. Taylor of Old Bond Street’s continuing success in the modern age is testament to the triumph of its timeless traditions.